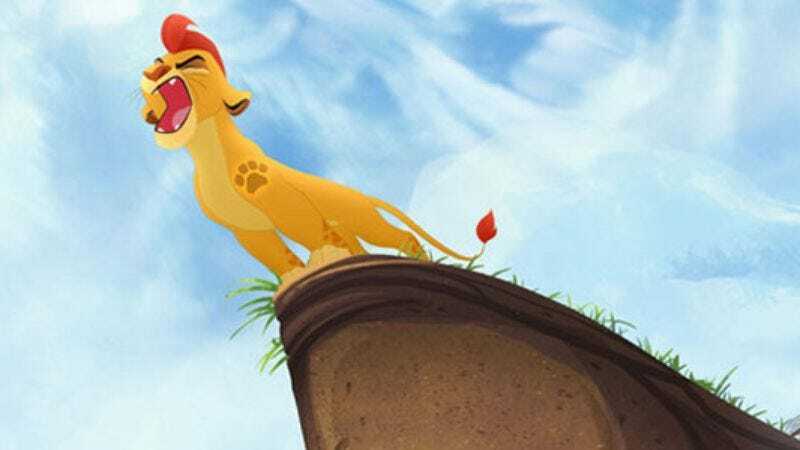 TVLine reports that Rob Lowe will voice Simba and James Earl Jones will reprise his role as the late Mufasa in the upcoming Disney Channel original movie The Lion Guard: Return Of The Roar. Other members of the voice cast include Ernie Sabella, reprising the voice of Pumbaa, Khary Payton (Teen Titans) as Rafiki, Kevin Schon (The Lion King’s Timon And Pumbaa) as Timon, Gabrielle Union (Being Mary Jane) as Nala, and Max Charles (The Neighbors) as Simba and Nala’s second-born cub Kion. The movie follows Kion as he becomes the leader of the Lion Guard, a group of animals charged with preserving the Pride Lands and making sure no idiot cubs go into the Elephant Graveyard. Along the way, Kion becomes friends with a hippo, a honey badger, an egret, and a cheetah, among others. Whatever the central conflict of the story is, it’s apparently enough to bring back most of the original Lion King cast and interrupt Mufasa’s eternal slumber in a cumulonimbus cloud. The movie will air this November and set up the Disney Channel/Disney Junior series The Lion Guard, which will premiere in early 2016. A sneak peek at The Lion Guard is embedded below, where you can watch Kion acting like a spoiled rich kid and threatening to get his dad if some hyenas don’t stop picking on his friend. Then, Kion deploys some sort of magical roar that he definitely shouldn’t have at that age, calls a host of sky lions to his aid, and gives himself an instant tattoo. Okay, what?